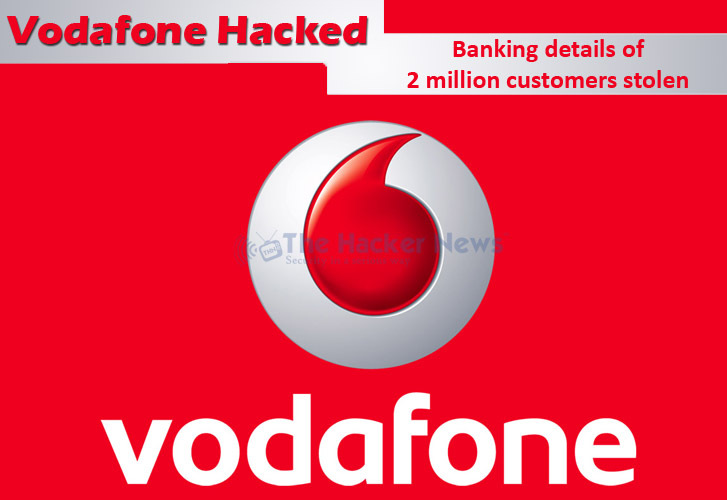 Vodafone Germany has been hacked and Personal details of more than two million customers have been compromised, some including banking details. Stole data includes names, addresses, birth dates, and bank account information, but the hacker had no access to credit-card information, passwords, PIN numbers or mobile-phone numbers. According to a blog post on the Vodafone website, The company has already involved law enforcement agencies in the investigation, and it is confirmed that a suspect has been identified and searches conducted in the case, but didn’t say whether the suspect was an employee or an outsider. It's unclear when the breach took place, but it appears to have involved a successful compromise of an internal server on Vodafone's network. Vodaphone said it is taking action to prevent this type of incident from occurring again, including reinstalling servers and changing passwords and certificates of all administrators. Vodafone customers outside of Germany aren't affected, and those inside the country should already have been contacted. It warned however of the risk of so-called "phishing" attacks in which fake emails try to trick customers into revealing their passwords.